In retrospect, I realize that I’ve been working on Planetary Philosophy for most of my – by now pretty long – life. I just didn’t know what to call it. In the 1960s I was a product of and a contributor to the Student Movement. As a student at San Francisco State, I got a BA in History and Psychology and did graduate studies in Philosophy, specializing in Philosophy of Science. But really, I majored in student politics. I co-founded a student political party that won a series of elections and came to control student government for five years. At the end of that time, I served first as student Vice President and then student President of the institution. I was the first student to be a member of the Academic Senate and of the President’s Advisory Council. We used student government to form a whole set of student programs, among which were the first institution-wide course and teacher evaluation program, a tutorial program for inner-city kids, a community involvement program for helping transform inner-city neighborhoods, and the Experimental College – our own college organized and run by students. I was the first Coordinator of the Experimental College. We set out to create an education for ourselves that had higher intellectual standards and was more relevant to the world than the official education we were receiving. We got the official institution to let us give course credit if we obtained a faculty sponsor from the official faculty. And, since we became quite popular, faculty competed with each other to sponsor our courses. By our second semester, in the fall of 1966, we were the largest department on campus. The first Black Studies Program in the country was started as an area of the Experimental College. Within three years there were hundreds of student-initiated Experimental Colleges associated with official colleges and universities around the United States, largely modeled on our first Experimental College. Unfortunately, the State crack-down on all the student programs at San Francisco State, after the big student/faculty strike at the end of the decade, closed the Experimental College and I went off to reflect on what we had learned and where we had gone wrong. At the same time as the Experimental College, I also studied philosophy as a graduate student. I specialized in three areas: the Philosophy of Science; Ancient Greek Philosophy; and Metaphysics, particularly the Philosophy of Alfred North Whitehead. I particularly liked Whitehead and he had a very strong influence on my understanding of how philosophy works. In the Experimental College we maintained an on-going philosophical conversation addressing education, politics, and our attempts at revolutionary transformation. In the 1970s I studied the curriculum of the times – dance, Aikido, Yoga, Meditation, Taoism, and the Kabbalah – leading to a deeper experience and a deeper understanding of the physical and spiritual world and my place in it. I was most influenced by: the dancer, Anna Halprin; the Aikido and meditation teacher, Robert Nadeau; the Yoga teacher, Joya Santanya, and through her, the Yogi, Ramana Maharshi; the I Ching; and the Ancient Wisdom School, Builders of the Adytum. The books that I found most influential were: William Butler Yeats’ A Vision; P. D. Ouspensky’s In Search of the Miraculous and G.I. Gurdjieff’s Meetings with Remarkable Men; Joseph Cambell’s The Masks of God; Robert Monroe’s Journeys Out of the Body; Lao Tzu’s Tao Te Ching and Richard Wilhelm’s translation of The Secret of the Golden Flower; Pierre Teilhard de Chardin’s The Phenomenon of Man; and Walt Whitman’s Leaves of Grass. I also thought a lot about the Movement of the 1960s and ultimately came to believe that one of the essential problems with it was our definition of business as the enemy. I recognized that business was a powerful craft that could be put either to good or not so good ends and I set out to learn the craft of business to put it in the service of economic, social, and ecological justice. 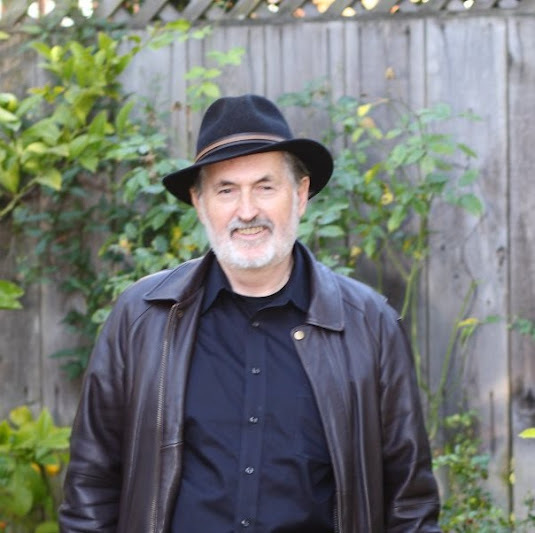 In the 1980s, I participated in progressive politics in Berkeley, serving as co-Chair of Berkeley Citizens Action twice and helping elect a progressive local government that governed for most of the decade. I co-founded Education for Democratic Action at U.C. Berkeley, which created what has become DeCal, the democratically run student education program at Cal. I took particular responsibility for the economic side of the progressive movement in Berkeley. I was a part of the team that created the first Economic Development Strategy that placed energy and the environment at the center of it. I served on the Energy Commission and was the founding President of the Community Energy Services Corporation, a public enterprise business pursuing residential and commercial energy conservation. I also co-founded a number of worker’s cooperatives, based on the model for worker’s cooperatives developed in Mondragon, Spain. In the late 1980s and the 1990s, I participated in the launch and rapid growth of the Socially Responsible Investment Movement, as a Senior Vice President at Progressive Asset Management (PAM), the first broker/dealer specializing in socially responsible investment. I led PAM’s Social Research and Social Screening Department and also Investment Banking at PAM. In the late 1990s, Joe Gross and I co-founded Sustainable Systems, as a company to use market forces to address sustainable development. Sustainable Systems has served as the lead consultant for a number of initiatives in the first and early second decades of the 21st Century. The Bay Area Family of Funds applied the “Double Bottom Line” approach of socially responsible investment (First Bottom Line – market rate of financial return; Second Bottom Line – economic, social, and environmental progress) to raise and invest more than $250 million in private equity venture and real estate funds focused on low and moderate income neighborhoods in the Bay Area. Sustainable Systems is also the Lead Consultant for the East Bay Broadband Consortium, a regional initiative to develop and implement a Broadband strategy for the three California counties – Alameda, Contra Costa, and Solano. In 2010, I also became the President of Global Urban Development (GUD), an international non-profit founded by Marc Weiss, that applies Metropolitan Economic Strategies to sub-national governments in pursuit of Sustainable Economic Development. I served as Lead Consultant for Mission Verde, San Antonio Texas’ Sustainable Economic Development Strategy and for the development of a Sustainable Economic Development Strategy for Sarasota County in Florida. Based on that experience, I authored SUSTAINABLE ECONOMIC DEVELOPMENT: Initiatives, Programs, and Strategies for Cities and Regions, the first systematic integration of Economic Development and sustainability best practices, and a number of other papers on Sustainable Economic Development. I also participated on the GUD team that has recently completed a Metropolitan Economic Strategy consultation for the State of Minas Gerais in Brazil. I’m married to Jane Brunner, an exceptional lawyer, political leader, and wife. For more than a decade, she and I formed a wonderful family with my 90 and then 100 year old mother, Helene Hurd Nixon. Now that my Mother is gone, Jane and I live together, often joined by her terrific children Kira and Kevin and now their five children. I have two children of my own, James Jr. and Sirona. James Jr., a student of philosophy in his own right, is creating the Planetary Philosophy website with us. Sirona is an amazing private chef in the Bay Area. Finally, a couple of years ago, Spencer Koffman and I formed Planetary Philosophy to apply the discipline of non-academic philosophy to help us to understand the problems and opportunities of our time and to aid us in acting with wisdom, grace, and some power. Spencer has moved on, but we enjoyed the creation of Planetary Philosophy and now I’m offering you the results of the project so far and invite you to use what has been developed and to help move the project forward. I am a baby boomer, born and raised in Sharon, Massachusetts, a small suburb thirty miles south of Boston. I grew up with no religious upbringing, and cynically viewed all institutions, especially religion. So, it is ironic that fresh out of high school, I joined a religious cult, Eckankar. I was attracted to the contemplative exercises that opened the door to mystical worlds. But, I also clung to the structure Eckankar provided, as I left the familiarity of my childhood existence. After transferring colleges a few times, I attended an alternative college, Campus-Free College, where I met my program advisor James Nixon. I intended to learn about business as a way to work closely with Eckankar’s guru. Instead, I learned to think philosophically, and outgrew Eckankar’s rigid belief system. The expanded story of my joining and leaving Eckankar is here. Having lived and left Eckankar’s belief system, I was hyperaware of the lens people filtered their understanding of reality through. As I explored various political, psychological, and spiritual groups, it seemed the only thing they had in common was their claim that their belief system was the true way to understand reality. Fascinated with the human psyche, I got a master’s degree in counseling psychology from the California Institute of Integral Studies. I became a licensed Marriage, Family Therapist. I was in private practice for many years, specializing in working with artistic, sensitive people struggling with a variety of life problems. I was burning out as a psychotherapist, so I supplemented my income as a dot comer. The business took off and I transitioned from psychology to business entrepreneur. Influences in my life and philosophy are the writings and lectures of William Irwin Thompson. I was also profoundly changed by a journey to the sacred lands of the Huichol Indians, led by the then 102 year old shaman, don José Matsuwa. It was through don José that I began participating in Anna Halprin’s annual Planetary Dance. Another influence was my professional association with Elaine Aron, author of The Highly Sensitive Person. I also attended lectures and workshops by Fritjof Capra, Joseph Campbell, Arnold Mindell, Rolling Thunder, Krishnamurti, The Dalai Lama, Huston Smith, and many others. The writings of Gregory Bateson, Francisco Varela, Humberto Maturana, Carl Jung, and George Lakoff stimulated my thinking. I reconnected with my old mentor James Nixon at the 28th Planetary Dance. I had a powerful experience at that ritual and intuited what was on deck in my life. Shortly afterwards, I discussed with James Nixon three projects to bring those intuitions to fruition. One of the projects was an online philosophy site. James expanded on my idea and proposed we create a site where people create their own philosophies. I began writing my own philosophy, but struggled until I had a vision of a weaving web. I am a living example of the power philosophy has to change lives. We are inviting others to join us in creating Planetary Philosophy as a way to transform our individual and collective lives.